Christine L. Dupree, 77, wife of Robert Dupree of Cromwell, passed away on January 30, 2019. 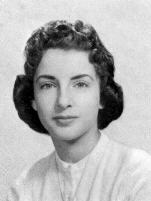 She was born December 9, 1941 in Middletown, daughter of the late Luciano and Christine (Bartolotta) Formica. She was a member of St. John's Church, Cromwell. Prior to her retirement she was a Certified Nurses assistant.